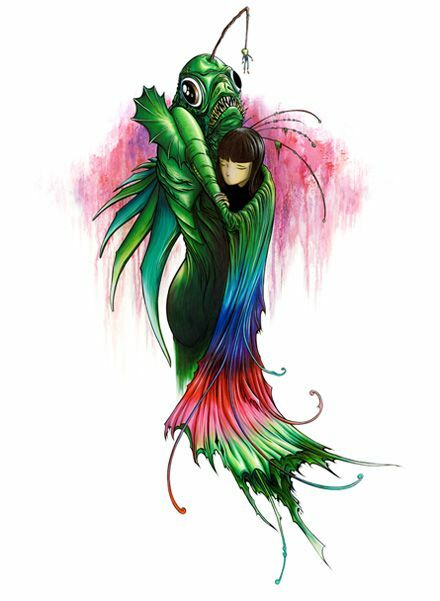 ALEX PARDEE'S LAND OF CONFUSION: "VERTIGO" SERIES #1 Giclee Prints Released! Well, it's taken us a quick minute to prepare these for release, as the aftermath of my "VERTIGO" show at Corey Helford Gallery last month was a lot stronger and less anticipated than….well…I anticipated! So we are still just little bottles of mustard playing ketchup. Good news is that we may have a new Zerofriends retail spot possibly opening soon in the BayArea! But more on that later. 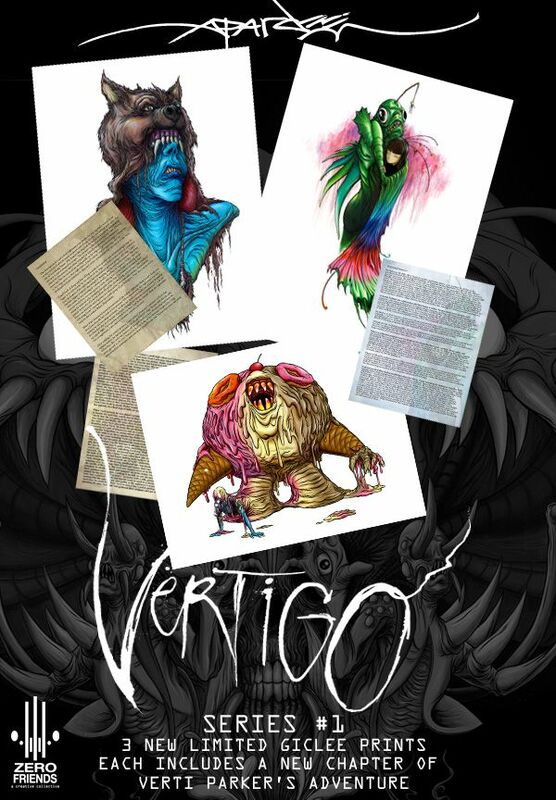 For now, in the wake of my "Tiger Blood" assault, we here at Zerofriends are proud to finally present SERIES #1 in my "VERTIGO" Limited Edition Giclee prints! See below for the full rundown! Each print comes with a second print, a new stand-alone chapter in Verti Parker's story! If you are unfamiliar with the story of famed Nightmare Hunter Verti Parker (for which the Vertigo show was inspired by) you can read all about him HERE at his site! And don't forget that ANY print that you purchase from Zerofriends online from now until this SUNDAY EVENING enters you automatically into a drawing to win the ORIGINAL artwork used for my "TIGER BLOOD" print! 17" x 22" Printed with Archival Inks on Acid Free Velvet Cotton Rag. 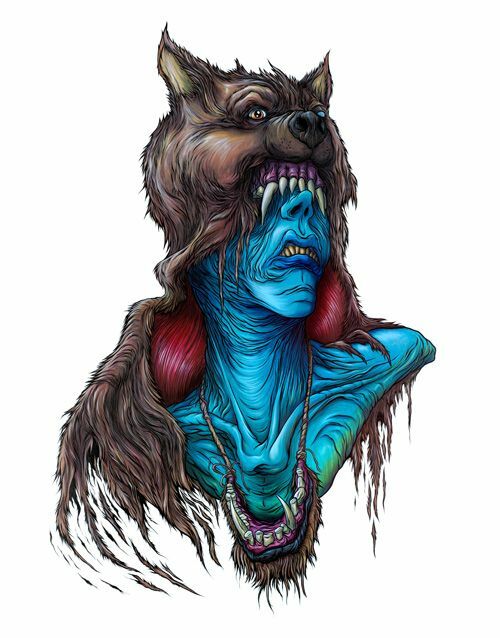 Each print is hand signed and numbered by Alex Pardee. This print was part of Alex's "VERTIGO" Show at COREY HELFORD GALLERY, inspired by famed Nightmare Hunter VERTI PARKER. 22" x 17" Printed with Archival Inks on Acid Free Velvet Cotton Rag.